Complete with four heavy duty blades. Easy grip handle. 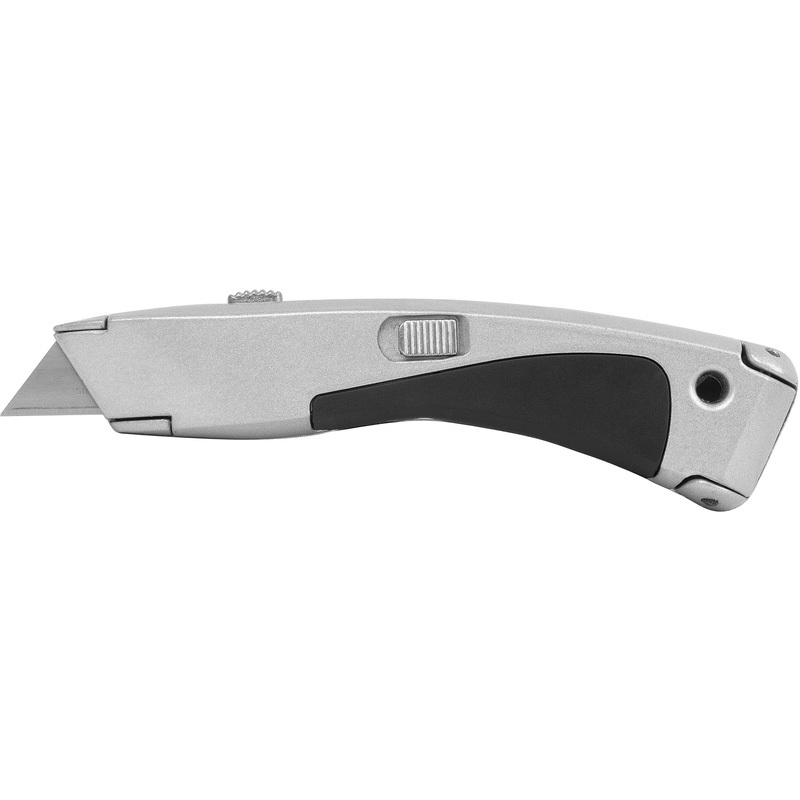 Blade locking mechanism and side action blade loading. Heavy Duty Retractable Knife is rated 3.7 out of 5 by 20. Rated 3 out of 5 by Brijb20 from Awkward blade change. Even though it has a tool free blade change, it's quite a tricky and frustrating task. Rated 2 out of 5 by wizwozuk from Talks a good knife.. The reality is it's cheap tat. The thumb push is rough and to open it to change the blade is really easy., closing it again however requires the dexterity of a master locksmith.